He used to hang suspended from the ceiling. This was when he felt most comfortable. But he had little thought for anyone who was arachnophobic. Twm was lucky to have lived as long as he did. If he had lived in any other house but ours, then his life would almost certainly have been cut short. To be honest, Twm came very close to it on many occasions, especially when people came to visit. Twm did what most spiders did and cleaned up after him, which is more than I can say for some people. 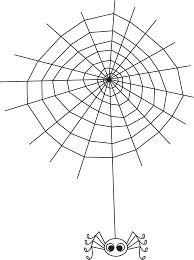 He would roll up his old web before starting on another. This saved cleaning time for me also. However, Twm did shed his skin from time to time which my kind and unassuming husband described as revolting. Now Twm would scuttle about the house late at night when he thought we couldn’t see him...but we could! It was hard to miss those eight hairy legs and four sets of eyes. He became quite a character and we looked out for him. We always knew when Twm was around; our visitors would shout for help and occasionally scream when he was found hanging about in the bath. I remember once, when Twm ran across the room in front of our guests (now remember, that Twm was larger than most spiders, probably because he ate so much). Anyway, Twm stopped dead, right in front of them. Legs flew off the floor and muffled screams filled the room. It never ceases to amaze me why people are afraid of these facinating creatures. Their fangs are too small to bite through human skin (but I guess they would, given half a chance) and their blood is blue for heaven’s sake...Royalty! And of course, they have a heart. So take heart next time you go to squish a spider....it could be a relative of Twm’s.